Winter Cancun vacations canceled seaweed sargassum effects all over Riviera Maya could be a negative economic effect because of the mystery of its origin and duration. But what is the sargassum? Sargassum is a set of brown algae species that float on the ocean surface in the North Atlantic Ocean. The Sargasso Sea is a region in the North Atlantic Ocean near the Bermuda Triangle. 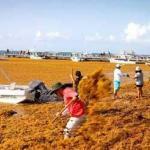 The region is known for its high concentration of floating Sargassum. The massive increase of this is not fully understood, but some potential influences include ocean currents, ocean temperatures, rainfall patterns, hurricanes, and nutrient levels. The sargassum affect only Mexico? This massive accumulations of enacing seaweed have been devouring beaches along the Gulf of Mexico and the Caribbean. Affecting the main Caribbean destinations like Barbados, Cancun, Martinique’s Atlantic coast and parts of Guadeloupe, St. Maarten/Martin, Tobago, Canouan in the Grenadines, Dominica and Puerto Rico. Must I Cancel my vacations to Cancun? We don’t recommend cancel your holidays at this destination, past years there are not register of massive arriving of sargassum during winter. Even that, Is hard to tell the situation during the next winter season, the behavior of this phenomenon is unknown. The Mexican government, local citizens and private tourism organizations are taking extreme actions during past months to keep beaches free of sargassum. The sargassum affects all recreational activities? 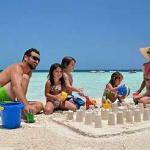 Cancun and The Riviera Maya has much more to offer than beaches even these are one of the main natural attractions. Visit incredible archaeological sites, swimming in Cenotes, local cuisine, visit colonial towns and Mayan villages near the area are part of a huge catalog of thing to do, waiting for you. 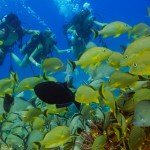 And for water activities the sargassum is not a problem, snorkeling activities are not affected, visit the islands like Isla Mujeres and Cozumel where the effects of these are minimum will become in a great experience for sure. 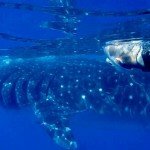 If you need any advice about this topic for your next holidays, please contact us we can help you to plan the best trip and best tour activities in Cancun and The Riviera Maya and Cozumel.